Click here to grab our newsletter jam-packed with free triathlon training tips and tricks! Kerry, in the past, was a top age grouper and is now a short course pro triathlete. Kerry has been racing for 12 years and coaching for 9 giving him quite a bit of experience & knowledge in the triathlon world. Dr. Christie has been the Chiropractic/Sport Medicine Physician for multiple football academies in South Florida. He is currently the Sports Chiropractor for XPE Combine Prep Program in Delray Beach, FL. This role includes treating the college football players during the NFL Combine Prep Program and during the NFL Combine in Indianapolis. He also has worked on over 125 NFL players and numerous MLB and NHL players for these strength & conditioning companies during their off-season Pro NFL/MLB programs. Dr. Christie is also the team Chiropractor for Olympic Heights Football team. In November 2009, Dr. Christie was appointed by Governor Charlie Crist to the Board of Athletic Trainers as the Chiropractic advisor. This appointment is through the year 2013 and will include working with and advising the board of Athletic Trainers on maintaining and improving the quality of care for Certified Athletic Trainers in the state of Florida. Olympic Games Team Selection Committee; and an active member of the 2011-2012 Elite Athlete Selection Committee. Nick as a wealth of knowledge. Live Workshop How To Go To the “Pain Cave” Workshop with Kerry Sullivan Now Available for Download! The Pain Cave is a special place that often athletes have to go to have a good performance. It’s a place that one has to have the physical capacity and mental toughness to endure. In this call, Ben & Kerry will teach you how you can go to the pain cave and create your best performances. Unfortunately Justin was unable to make the Q&A session. It will be rescheduled for another time in the near future. Justin Trollé is a Level III USAT Coach and over the past 10 years he has coached International elite athletes in New Zealand as well as elite athletes here in the USA including Mark Fretta, Greg Billington, Lauren Goldstein-Kral and Sarah Groff. A graduate from the University of Otago in NZ in both Exercise Sports Science as well as Marketing, Justin is also qualified coach in Swimming, Cycling and Running as individual disciplines. Justin currently heads the USAT coach mentoring programs at the US Olympic Training Centre in Colorado Springs which includes both the 3 day program as well as the year long mentoring program designed for level 2 and 3 coaching. 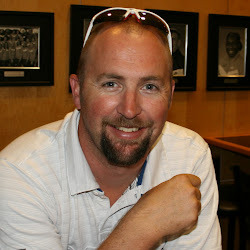 In addition to his personal coaching programs Justin was the recipient of a 2005 prime ministers scholarship to studying coaching education and systems throughout the world and currently designs and delivers the USAT Elite Coach Mentorship program and the US Olympic Training Centre in Colorado Springs. How To Respond to Pace Changes In A Race – LIVE Workshop Now Available For Download. When racing to finish as high as you can in a triathlon, the dynamics and tactics of racing change. Often there comes a time in every race where you need to decide if you are going to respond to someone or a group of people speeding up. Conversely, there can also be times when people around you may be fading off and you need to decide whether to stay with them or go. Ben & Kerry will be discussing all the race tactics you need to know when dealing with changes in pace so come race day you can finish as high as possible. Listen now or download for later below! Duane Dobko Replay Live Now! Duane Dobko has 17 years of competitive swimming experience and 7 years of triathlon experience. He was a former school record holder for the University of Minnesota in the 100 yard backstroke and was a Canadian National champion in the 50 meter backstroke in 1994. Duane was a 2003 Hawaii Ironman qualifier, finishing 26th in 2002 at Ironman Wisconsin, with the 3rd fastest overall swim split (49:03). Duane is currently swim coaching professional triathlete David Thompson, and competes for the Gear West Elite team out of Minnesota. Live Workshop With Blake Becker Now Available For Download! Blake Becker is a 30 year old endurance sports coach and Professional Triathlete. As an athlete, Blake has over a decade of racing experience across all distances from sprint distance to Ironman. Blake has completed 25+ Ironman races and has gone from an athlete with no racing experience or background, to an 8 hour/top 5 Ironman finisher. As an endurance coach, Blake has been working with athletes for 10 years. He combines a Bachelors Degree in Education, with a USA Triathlon certification and nearly a decade of experience. Over the last 10 years, Blake has worked with over 200 athletes of all ability levels; this includes athletes who set out to complete their first sprint triathlon, as well as athletes who race as elites and have raced at the World Championships. No matter what your goals are for the year, talk to Blake, the chances are good that he can help you get where you want to be! Check out the site and contact Blake if you are interested in coaching, sponsorship, or attending a BBMC camp. Fast Triathlon Transition Like A Pro – Live Workshop With Ben Greenfield Now Available For Download. Transitions are often called the 4th event in a triathlon. When looking at the fastest triathletes, their transition times are also the fastest too. It’s an easy place for athletes to take some time off and a depending on how competitive you transition, it can make or break you. 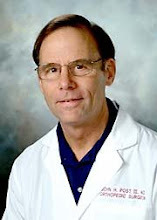 Triathlon Medical Q&A With Dr. John Post Now Available For Download! Dr. John Post is an orthopedic surgeon. He is also Medical Director, Training Bible Coaching official Dr., 6 Time Kona Finisher and Rock Star Triathletes official Orthopedic Surgeon and medical consultant. John is unique compared to many Dr.’s out there in that he understands the elements and mind set of triathletes as he is one. As such he gives great advice one how to triathletes dealing with injuries and other medical issues that can arise from racing. Members: click here to get your FREE triathlon training plans with your exclusive Rock Star code (switches plan price to 0.00)! Is Triathlon Bad For Your Heart?